Today was the first day with clear skies and sunshine for the whole day and this morning we took the trams to Pioneer Airfield and decided to show you bit of the hustle and bustle that makes AirVenture such an exciting place. 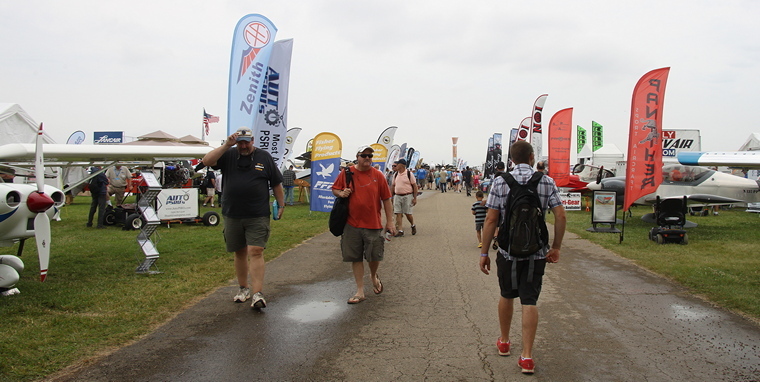 Although the afternoon's airshow is the highlight of every day, AirVenture is essentially a huge fly in dedicated to experimental aircraft. You just need to spend an hour or two each morning relaxing next to one of the runways to see some really interesting aircraft. 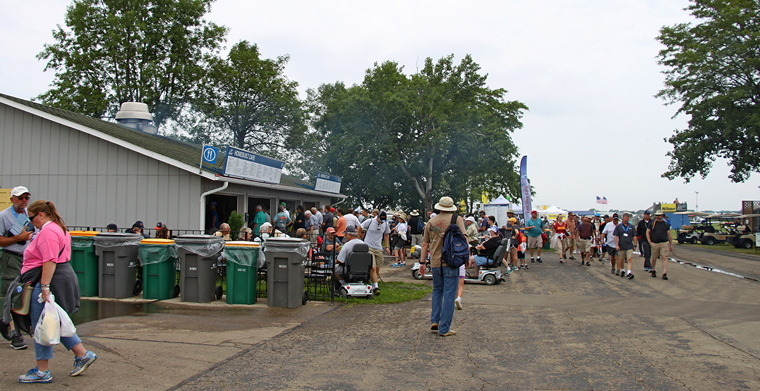 However, it is the afternoon shows that draws people in their thousands to AirVenture. Weather permitting we will be visiting the Seaplane Base tomorrow and will bring you a report on this haven of tranquillity.